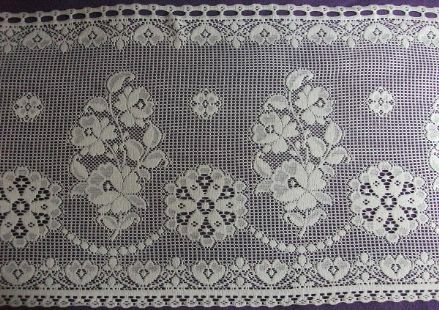 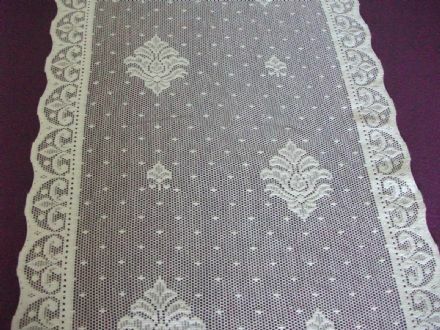 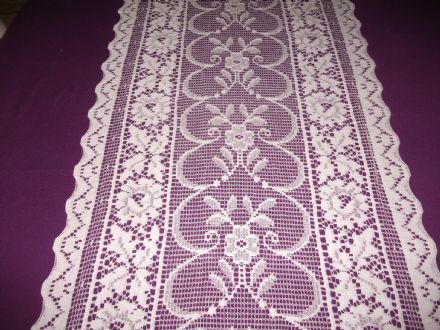 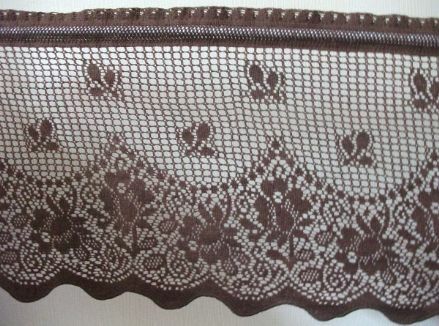 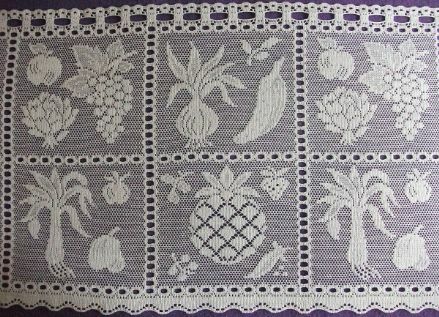 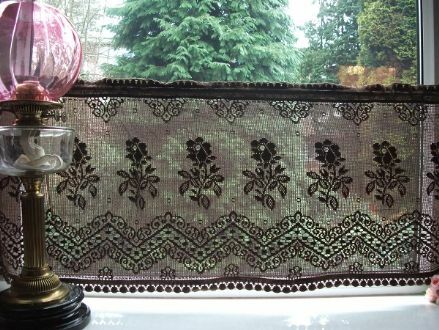 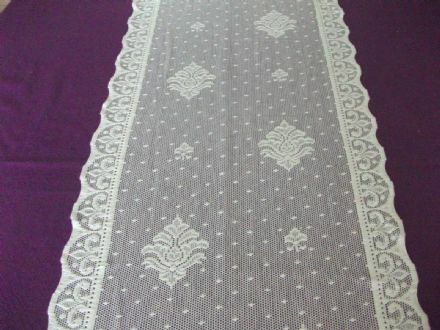 Vintage Nottingham Lace Cafe Curtains. 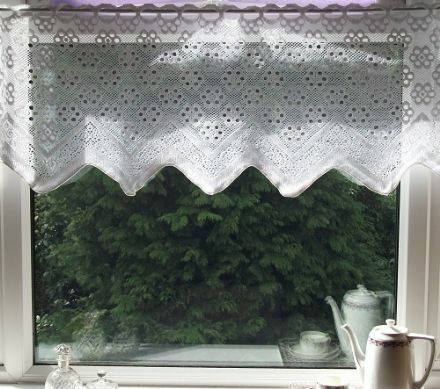 Lace cafe curtains add that quintessentially English elegance to your windows whilst still allowing you to enjoy the view outside yet retain some privacy. 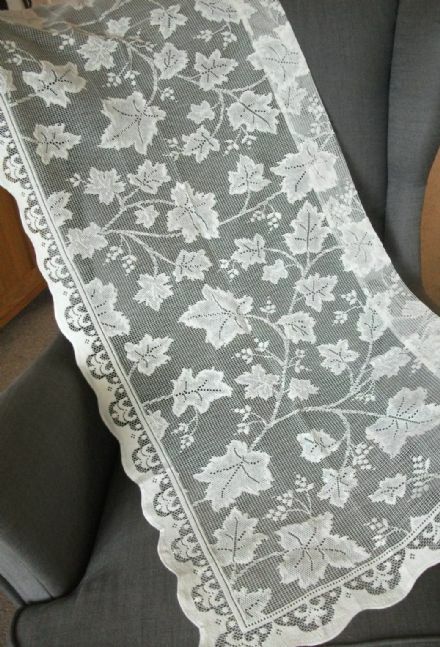 We have been very fortunate in sourcing a vintage batch of genuine Nottingham Lace Cotton cafe curtaining still on their original bolts as they left the British mill where they were made. 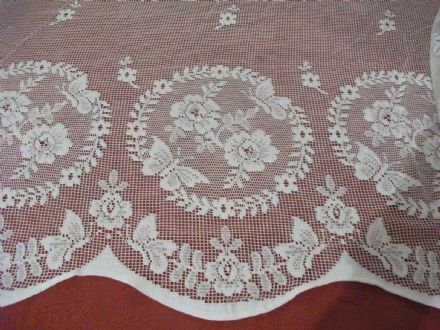 These cafe laces could also be used to create beautiful pelmets for windows, romantic valances for four poster beds or pretty lace awnings for a little girl's bed (or a big girl's bed for that matter). 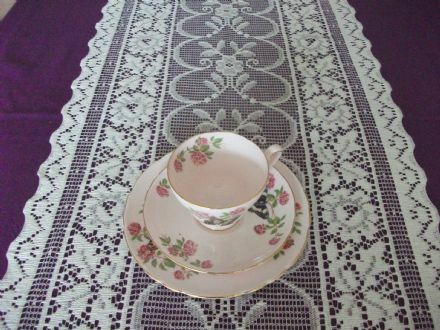 Our vintage cafe curtains are priced per metre, colours include white, cream and chocolate. 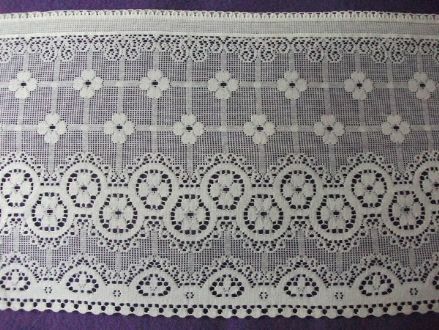 All are ready to hang when cut to width having either a channel for a wire or rod or appropriately spaced holes woven into the pattern to thread a rod through. 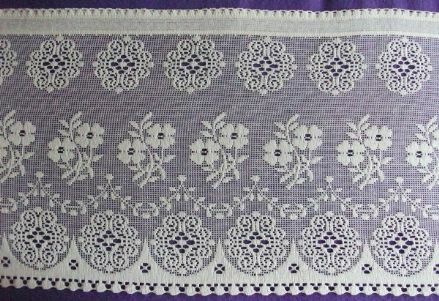 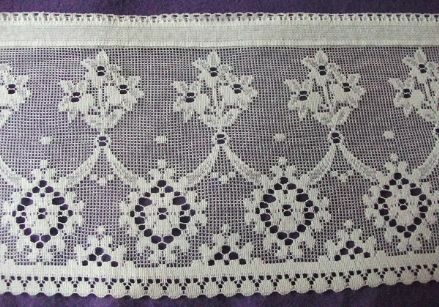 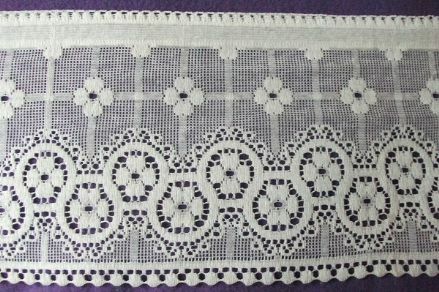 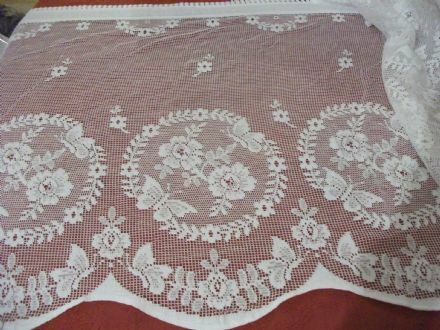 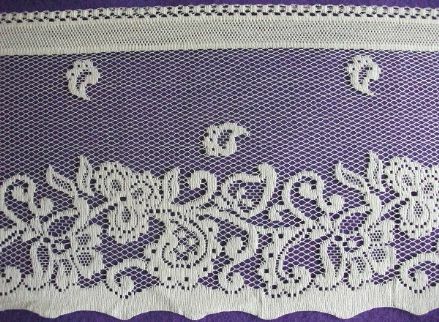 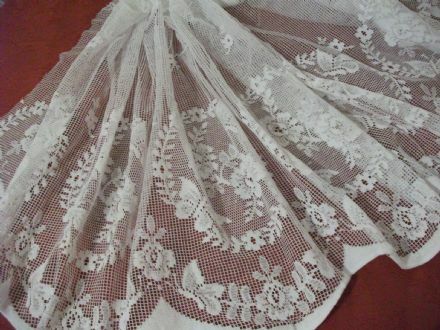 * Cotton lace (being a natural fibre) can shrink a little even with gentle washing in warm water. 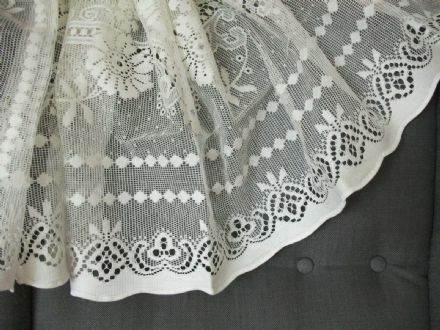 For this reason we will measure all orders generously and recommend that you wash your lace first before you cut it to the size for your windows and fix it into place. 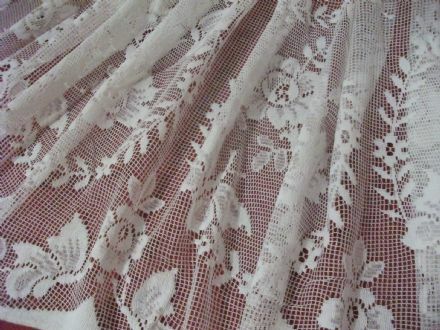 * We cannot replace vintage stock once it is sold, therefore we recommend that you purchase sufficient quantities to complete your projects at the same time, when it is gone, it is gone!